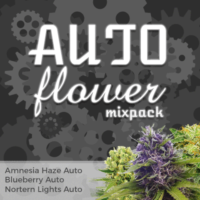 Blueberry Medical Marijuana seeds are a stable blend of 80% Indica and 20% Sativa genetics which produce a highly versatile, hardy plant, perfectly adapted for both indoor and outdoor growing techniques. 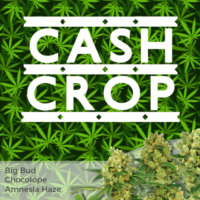 Well known and highly acclaimed for its fruity flavor, ‘cash-crop’ yields, and medicinal effects. Mature heights can vary between 50-200 cm tall, depending upon the growing method. Grown in a Sea-of-Green style, with limited, two week vegetative period, Blueberry Cannabis seeds produce plants with a large single cola, close, strong branching and swollen buds. Longer vegetative times will increase the height and overall yield from the plants. 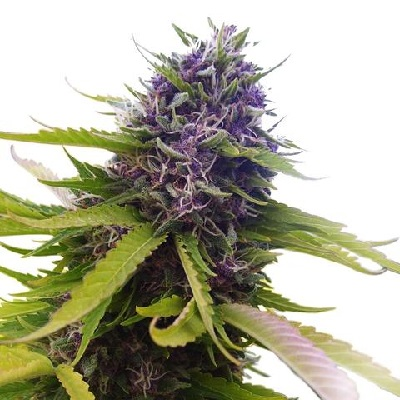 Although not a recommended strain for complete beginners, Blueberry Feminized seeds are easy to grow, and with a small amount of knowledge can produce crops of between 500-700 grams per square meter of the highest quality Cannabis buds, with all the traits, attributes and characteristics this fruity strain is so famous for. 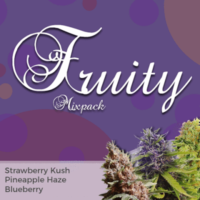 One of the fruitiest tasting Cannabis strains available, Blueberry has THC levels of approximately 16%, but also has a relatively high CBD level, making this strain suitable for medical use where it can help with anxiety, migraines, bipolar disorder, PTSD and many other conditions. 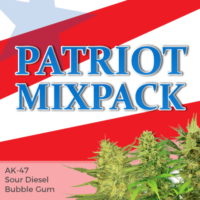 Sold as Blueberry Marijuana seeds and not as souvenirs, we expect you to plant, grow and enjoy the fruits of your labor, and as such, offer all the assistance you need to successful grow these seeds. With guaranteed germination, guaranteed female only plants and all the customer support, help and advice you could need. Blueberry seeds are Indica dominant, producing strong plants with close branching and large swollen buds. Perfectly adapted for growing indoors, either in soil, or a hydroponic set-up, requiring an average of eight weeks to fully flower and mature. The higher CBD levels help to reduce stress and depression as well as providing a good source of natural pain relief. NOTICE: You may be asked to return the ungerminated marijuana seeds.